The A to Z challenge is something I have enjoyed participating in previously. The challenge gets you to write a post for each letter of the alphabet in the month of April with just Sundays to rest. It is a challenge I have tried and though I have completed the alphabet on two different occasions, I haven’t finished it within the time I was supposed to. So, I keep challenging myself! The first time I did it, I came relatively close on the timing. I did an A to Z series on agriculture broadly. I had so many ideas that I hadn’t ever covered before that I really couldn’t believe it! I took ideas as I went and soon realized I was moving from “just knock out quickly” to more depth. yet were warmly embraced by people reading it. And today, it still gets traffic! The posts I’m most proud of include those highlighting Borlaug, elevators, GMOs, and zoonoses. Last year I thought in January or February that I was once again up to the task. 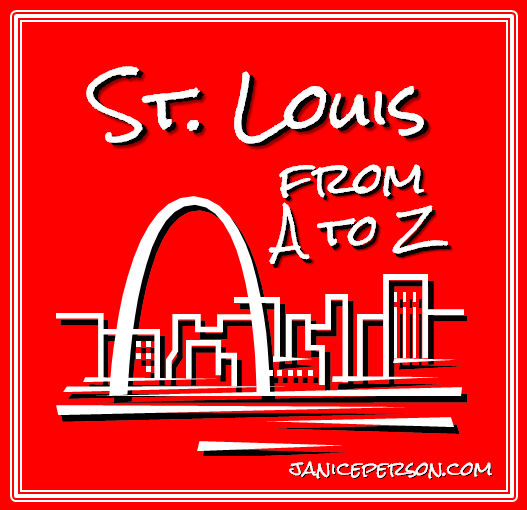 Thinking I could do an A to Z series on my adopted hometown of St. Louis. I very carefully started getting myself organized months ahead of the publication schedule. I had great ideas for every letter. What could derail me? Two things 1) I got so many great ideas turned my way that I found it hard to limit myself on post length and 2) I started a new job along the way and my schedule changed pretty significantly as my enthusiasm for that and travel combined to make April really busy and something had to give! I thought for a little while I could finish in another month or so but quite frankly, I wanted to do a great job with it rather than just get ‘er done. Now and then I just let myself unplug from it. I came back to it several times but kept seeing bright shiny things and/or squirrels. I just finished it a couple of days ago. I know. That’s embarrassing. On the other hand, I would like to think, I kept learning about my fine city, I ended up trying so many new sites in the past year that I truly connect to the St. Louis A to Z research & writing process. But I also got a lot of insight into how I may need to reconsider my path. Signing Back Up for April 2015! This year I signed back up. Yes, I am a glutton for punishment! Ok, seriously, I do love a challenge and I am competitive even if it is just against myself! Luckily none of you have ridiculed me the way I have. Everyone approaches these challenges differently. Some want short, pithy posts. Some have done great photo series (and I am REALLY considering that for 2016) but I like putting together information that can be useful for my friends, readers, folks who find it through search engines and things that help me get pumped. With all that in mind, I am returning to my agricultural roots (pun intended). I started working on the organization of the series as I rang in the New Year and looked at what I want to accomplish on the blog and though doing some design work is a big piece I started brainstorming, the potential of highlighting farms & farmers, especially farmers who like me enjoy talking with people about agriculture online, just seemed like a driver. People who read this blog seemed to enjoy the adventures of Flat Stanley visiting farms and the trip where I drove from Portland, Oregon to Fresno, California stopping at farms all along the way were popular. And I have yet to blog about some farm visits! 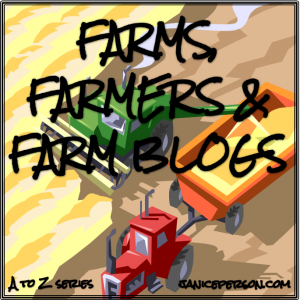 There is a pretty good list of farmers who blog already here for you to look at, but I love going beyond that, to share the faces of those who grow food, what they are passionate about, etc. So this year, I will be writing posts about some of my friends who’s farms I’ve visited and opening the blog up some to farmers I’m connected to via social media and meetings too. 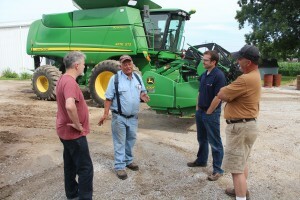 The plan is to have a rich diversity of farmers you can get to know — crops including my beloved cotton as well as other major crops and then some of the ones that we think of as food far more than agriculture. The number of farmers will vary for each letter but I think I have a farm / farmer identified for each day! Want to find farmers who want to share what’s happening on their farms? 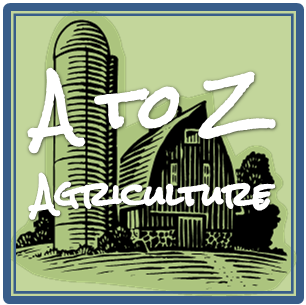 This Farm A to Z series will help you find farmers of various crops, geographies, etc. this will be the place to come! The vast majority of the people I will showcase love getting to know people through social media & enjoy sharing their farm experience — especially some farm blogs. Where they have social media sites, I am trying to include all of that too so you can subscribe to their blog (hopefully you already subscribe to this one or you can fix that quickly! ), like their farm on Facebook, and follow them on Twitter and Instagram. I hope you enjoy it. I have already been having a lot of fun getting to know some of these folks a bit more! Any questions for me, about the series, for the farmers, etc… they are all welcome as usual! That’s what the comment section is for! 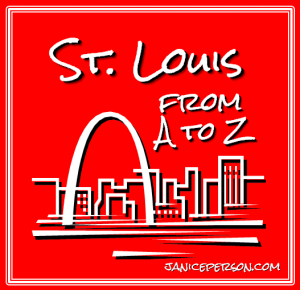 « St. Louis A to Z: Saint Louis Zoo! Great Idea! Meeting your followers interests and perhaps snaring some new ones. My Daddy was raised on a small SE Texas cotton farm in the 20’s and 30’s. Love it! Cotton is my favorite! I have a series of guest posts on folks willing to tell their cotton stories, maybe after the A to Z? So nice to meet you! Hope you have a great year. I love this time of year cause it is filled with so much potential. Wow. That’s a big challenge. Good luck. Thanks! I hope it goes smoothly! So far, so good!